As far as kitchen appliances go, the toaster is pretty much the party animal of the bunch. Either that or the class clown. But no matter which way you look at it, there’s no denying that the ubiquitous little countertop appliance sees its share of gimmicks. 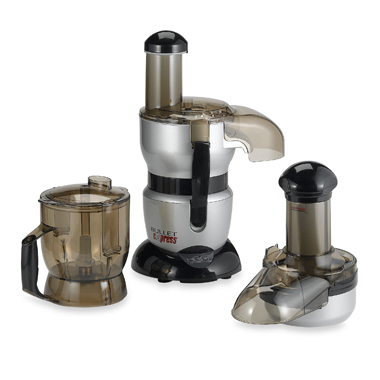 Gadgets and gizmos routinely get attached to the machine, from egg cooker contraptions to integrated coffee makers. Usually however, the toaster is rather quiet about it. Considering the name and uh, styling, of this kitchen appliance, I’m not sure if this is designed with men or women in mind, but either way the strong and powerful machine happens to be versatile too. Everybody loves breakfast. Not only is it the most important meal of the day, but it also happens to be good at any time of the day. Morning, noon or night, bacon, eggs, coffee and toast make for an excellent meal. These components may define what a breakfast is, but sadly, they are not always served together. 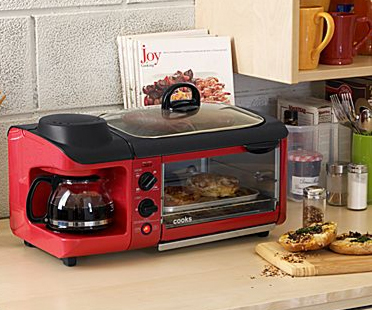 With the Cooks 3-in-1 Breakfast Center these all-important breakfast favorites can always be together. The combination appliance features a 4-cup coffee maker, an 8-inch by 10.5-inch griddle and a 4-slice toaster oven. Measuring 16-inches by 14-inches with a height of 13-inches, the 1300W countertop appliance makes it easy to cook up breakfast essentials all in one place—at any time of the day. Only $39.99 at JC Penney. For a kitchen sink, this gizmo sure goes beyond what one would expect. 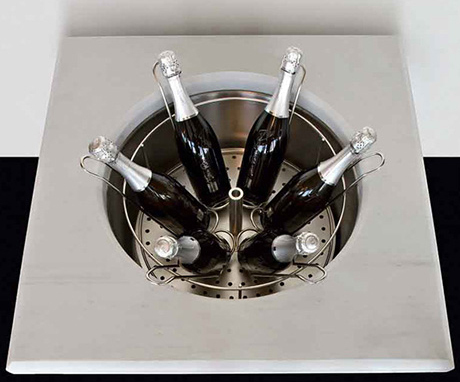 The Meneghini Happy Fresh cooled sink combines a cooler with everything but the kitchen sink. Using either cooled water or air to achieve this chill the kitchen sink is the first domestic sink with an incorporated refrigeration system. When the removable perforated base is installed the sink is transformed into a secondary fridge and even comes with a domed accessory to keep food and beverages cold. While it may look somewhat awkward, I have to hand it to any kitchen sink that well, goes beyond. It doesn’t take much to get knocked off-track in the morning. The simple task of creating breakfast can be like navigating a hazardous course fraught with peril. Dodging pots and pans while trying to create some simple sustenance can be quite the chore for the non-morning person. 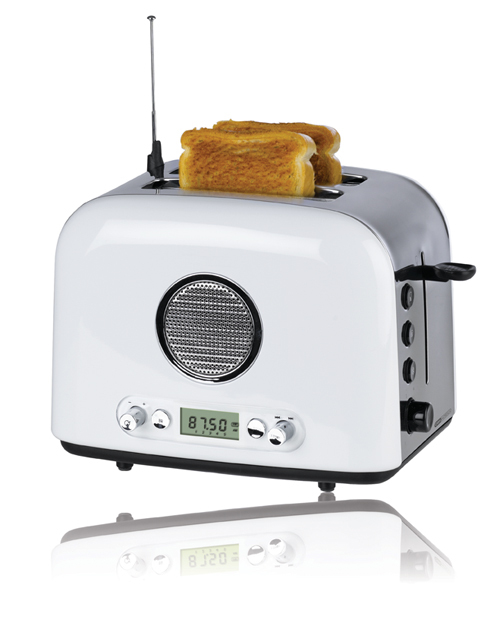 That’s why we have the Back to Basics Egg and Muffin Toaster . The device streamlines the process of feeding slow-moving, half-awake people by combining popular features into one unit. Everybody likes breakfast muffin sandwiches, but not everybody likes dealing with the assorted cookware needed to produce them. The combination appliance is capable of making poached or steam-scrambled eggs and warming pre-cooked ham or sausage, all while toasting bread or an English muffin. Producing complete sandwiches in about 4 minutes, the toaster saves enough time for other important morning activities — like trying to remember how to make coffee.